I finally finished illustrating a Boeing 777-200 template! Yeah, my time has been severely limited with a crazy work schedule and the Thanksgiving holiday a couple weeks ago. All in all, it took about two weeks to create the line-drawing and about another week to do the livery. But now that I have the basic all-white version of this 777 illustrated, new liveries shouldn’t take so long (probably just a day or so each). 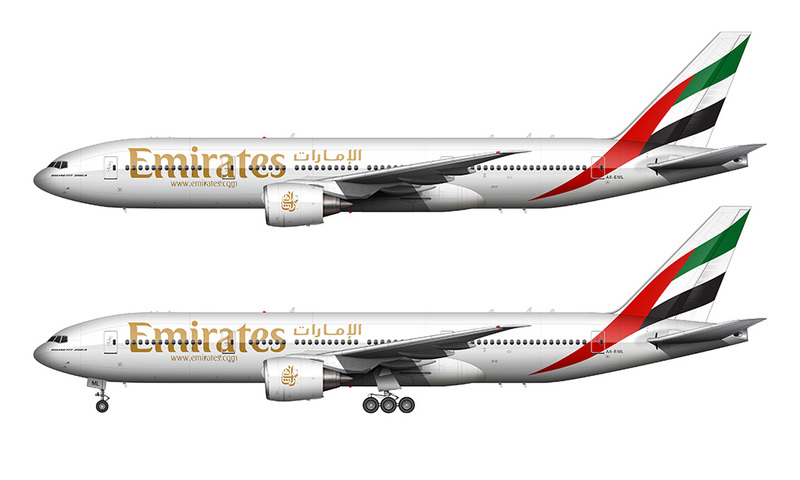 Even before I started gathering reference material to draw this aircraft, I knew that I wanted to paint it in the Emirates livery. I like big airplanes – so it probably makes a whole lot of sense that I have developed a strong interest in this nearly all-widebody airline. I’ve never had the chance to fly with them (yet), but my bucket list includes a trip to DXB aboard an Emirates A380 in first class. I’ll do it someday, but right now there are no immediate plans for a trip like that. 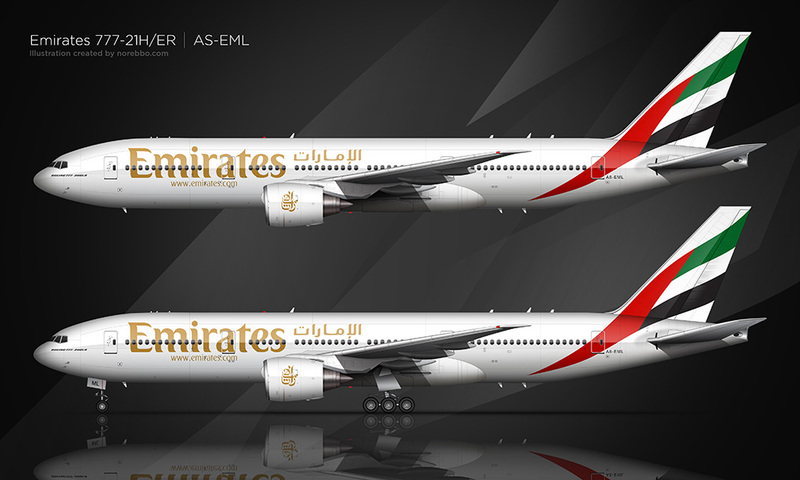 As far as the livery goes, Emirates is one of my favorites. The abstract UAE flag at the rear of the plane flows beautifully from the vertical stabilizer into the fuselage, and the gold billboard titles at the front compliments the colors of the flag nicely. But just like all modern airline color shemes, there is a bit too much white for my liking. I know, I know. Paint is costly (in both labor and weight) but I think they could have done some really interesting things with the flag extending further into the fuselage than it does now. Anyway, I’m glad to have the basic 777-200 template completed so that I can start creating some more. Hello Scott, where can I buy this EMIRATES SVG model please ? Thanks a lot ! Bye ! 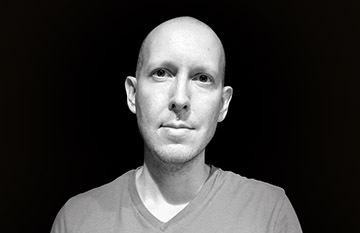 Hi Pierre – I don’t have an SVG/vector version of this one available unfortunately. 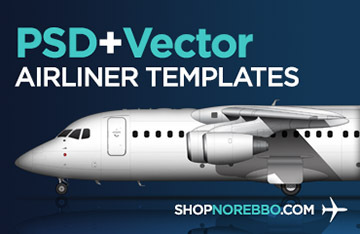 I do all of these livery illustrations in Photoshop (with only a few elements created in Adobe illustrator).